3 years & up. 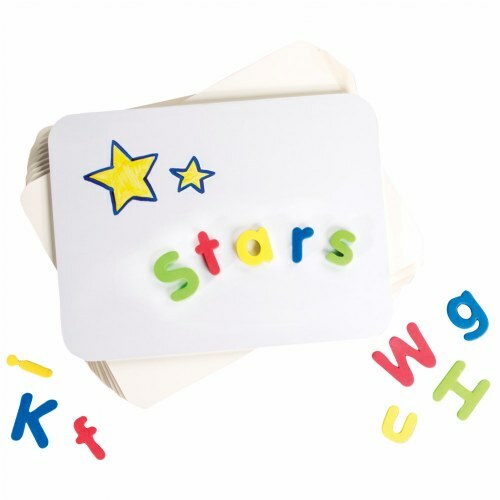 Dual-functioning boards are dry-erase and magnetic for multiple activities. Each measures 9" x 12". Letter magnets are not included.